A circle of mirrored heart-shaped kissing booths will adorn Times Square in the spirit of Valentine's Day from February 9. 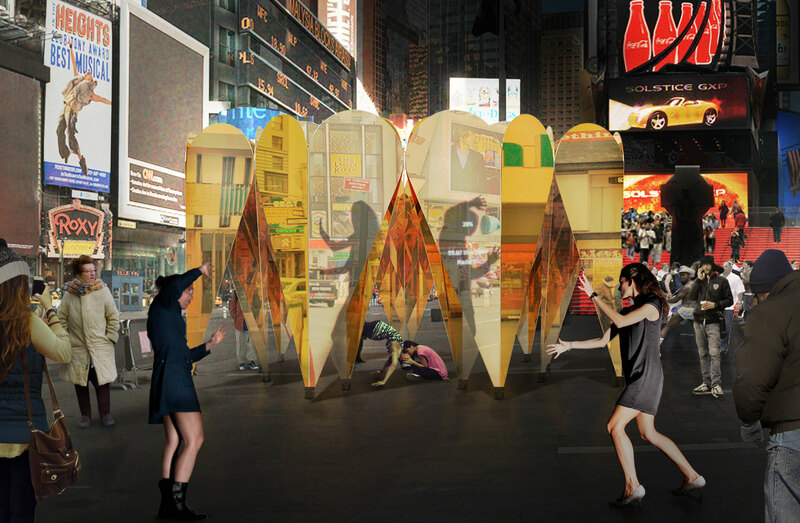 Heart of Hearts by Collective-LOK was selected by Times Square Arts and the Center for Architecture as the winner of the Times Square Alliance's eighth annual Valentine Heart Design. 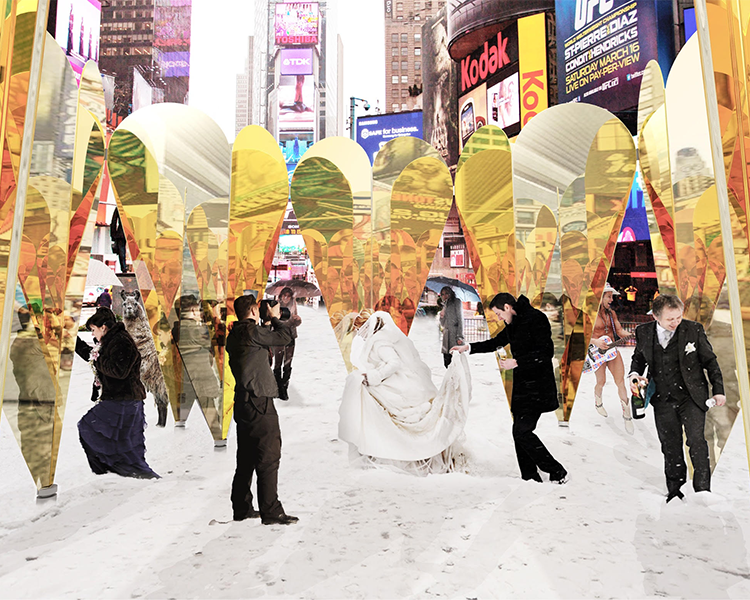 Times Square Arts will also host a group wedding inside the installation on Valentine's Day. Collective-LOK called the piece in a statement: "an engagement ring for our love affair with the spectacle of Times Square." Collective-LOK will also host artist and video performances during Armory Arts Week. Heart of Hearts will be on view in New York's Times Square between 46th and 47th Streets, February 9–March 6, 2016.